I’m recreating my vision for JOY. By the end of August I’ll be starting Compassion Kindergarten Camp for children who live in the Frasier Meadows community and who seek an outdoor, place-based program for their kindergarteners. I’ll pick your children (5 maximum) up from their school, and we’ll walk home, taking the long, adventurous route. Or, we’ll end up at the Meadows Branch Library, where you’ll pick them up there. Love it Mary, a wonderful idea. 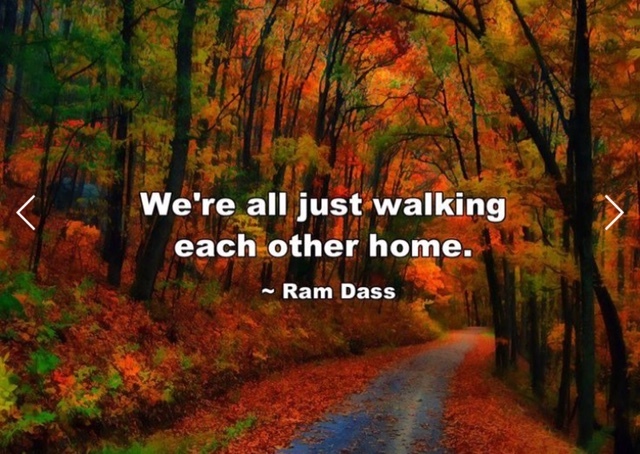 Love Ram Dass. What is a place-based program? Place-based means spending time in the place they live. So, we go outside and walk, bike or use the bus to explore their neighborhood, rather than staying inside a classroom.